ECOFILL MASTER is an automatic packaging machine for bags in continuous of last generation, fast, precise and fast format changeover. It is equipped with a high precision magnetic counter. The operator will position the first bag drag guide and the packaging machine will feed, fill, cut and automatically position itself bags in carton box. The packaging machine is ready for the vacuum pre air before filling and nitrogen after the injection. Structure in stainless steel. Its electronic and pneumatic components provide you with maximum reliability and performance. Equipped with touch screen, automatic start and safety bars. 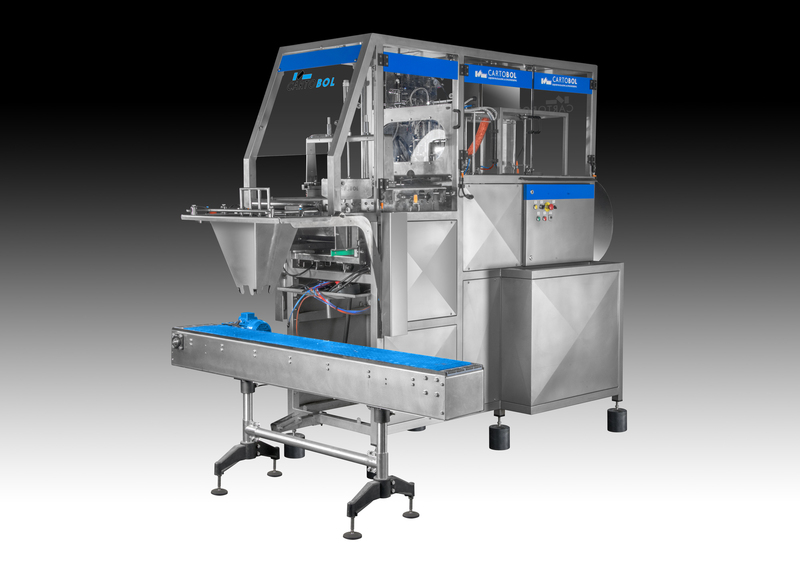 The ECOFILL MASTER machine can connect online with our erector ECOPACK MASTERFORM, sealing boxes ECOPACKHOTMELT and a palletizer SPEED BOX. CARTOBOL can supply the ECOFILL HT 1 DRUM machine with a road roller motor for the feeding of the packaging machine. Structure in stainless steel. Its electronic and pneumatic components provide you with maximum reliability and performance. Equipped with touch screen, bar security and Autostart as well as flexible rotor centrifugal pump.